Harmsco® Poly-Pleat™ Absolute Rated Filter Cartridges | Applied Membranes Inc.
Absolute rated one micron filter cartridges remove cyst-sized particles for safe, cyst-free drinking water. 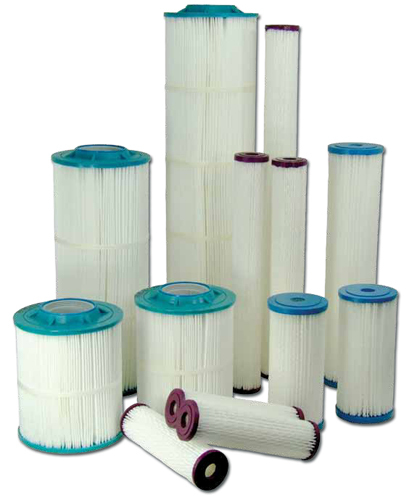 Harmsco POLY-PLEAT cartridges are ideal as final filters for municipal water filtration without pre-filtration. In high turbidity water, pre-filtration is recommended using Harmsco® sediment cartridges with two- or three-step filtration, depending on the source water. POLY-PLEAT™ cartridges provide long filter life due to their pleated design and increased surface area. For use in Harmsco Up-Flow Multi-Cartridge Filter Housings. End caps, center tubes and media are thermally bonded as one integral component for added strength and to provide superior end sealing. 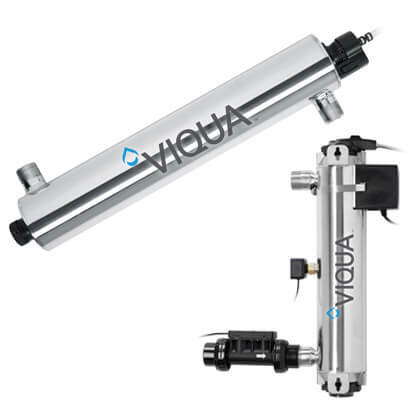 Full product line for standard, Big-Blue** and Hurricane® filter housings. Harmsco Poly-Pleat Absolute Rated Filter Cartridges are also available in Hurricane Size for use in Hurricane and WaterBetter filter housings.